We close this week out with yet another wonderful new video highlight: Larry Eigner: Sacred Materials. 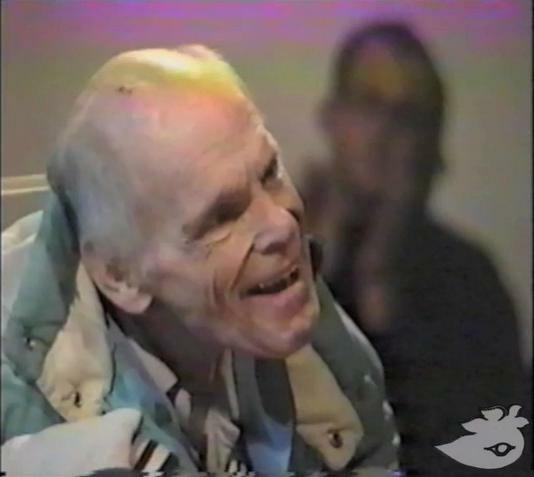 Taken together, these three videos include nearly two hours of footage from the end of Eigner's life, including his last public reading on November 17, 1995, and two videos shot on February 6, 1996, which document his burial and his work environs. These intimate films come to us courtesy of Kush and his renowned Cloud House Poetry Archives, which "is distinguished from any other by the comprehensive depth of its audiovisual collection and the high fidelity of its field recordings. It is a week-by-week, month-by-month, and decade-by-decade living record of the avant-garde practice of poetry in the San Francisco Bay Area. It represents entire communities of poets and affiliated artists that we identify as the 'poet genome' of Northern California/Pacific Rim." This is the first time that Kush has made work from his extensive archives available on the web. We're grateful for his generosity and look forward to future collaborations with Cloud House Poetry Archives. To watch these fascinating films, click on the title above to visit our page for Larry Eigner: Sacred Materials, where you can also read more about Kush and Cloud House. Today we very happily unveil a new author page for Michael McClure: home to a career-spanning poetry retrospective as well as a number of interesting musical collaborations. McClure's work has had a home on PennSound for several years — ever since we launched a series page for the Rockdrill Recordings archives, which includes two separate CDs spanning nearly half a century: Rockdrill #9 Ghost Tantras (Poems 1955-1991) and Rockdrill #10 Rebel Lions (Poems 1991-2004). These two discs, containing a combined forty-six tracks, now have another home on our McClure author page. They're joined there by three additional album-length collaborations with well-respected musical figures. First, we have I Like Your Eyes Liberty, containing nine tracks with minimalist composer Terry Riley, which was first released on SRI Moonshine in 2004. That's followed by a pair of albums recorded with former-Doors keyboard player Ray Manzarek: There's a Word! (Rare Angel Music, 2001) and Love Lion (Shanachie Entertainment Corp., 1993). The collection's rounded out by a March 18, 1998 reading at SUNY-Buffalo as part of the Wednesdays at 4Plus series. 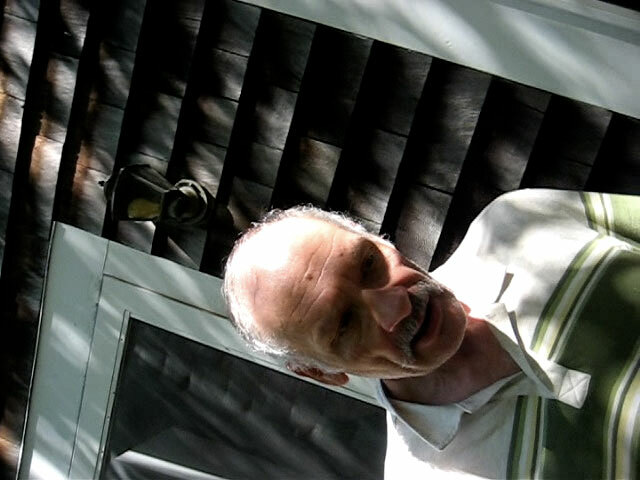 George Kuchar was one of the most creative, original, and influential filmmakers, straddling between two generations of North American iconoclasts, including Stan Brakhage, Ken Jacobs, Kenneth Anger, Michael Snow, Warren Sonbert, Ernie Gehr, Abigail Child, and Henry Hills. Often collaborating with his twin brother, Mike, the Kuchars started making films as Bronx teenagers and these early films already show the ingenuity, exuberance, and do-it-yourself charm that they would keep over their scores of subsequent films. Though the arrival of autumn means an end to long, hot days and a return (for many of us) to campus after summer rest, it also brings the start of a new season of Segue Series readings at the Bowery Poetry Club. Now in its thirty-fourth year — co-founders Ted Greenwald and Charles Bernstein kicked off the series with a September 16, 1978 reading by John Ashbery and Michael Lally — Segue will resume its customary schedule of Saturday afternoon readings on October 2nd, and the fall line-up (organized by Kaegan Sparks and Trisha Low) will feature some truly stellar voices, including Rae Armantrout, Rosmarie Waldrop, Jennifer Scappettone, Michelle Taransky, Wayne Koestenbaum, Joyelle McSweeney, Filip Marinovich and Divya Victor. To whet your appetite for these upcoming events, today we're highlighting a number of recordings from last spring's readings that were recently added to our Segue at the Bowery Poetry Center homepage. First up, we have an April 23rd set by Gary Sullivan and Derek Fenner. We've also just added Maureen Thorson and Juliana Spahr's reading from May 7th, along with Layne Browne's set from May 14th (unfortunately, Bernadette Mayer's set from that day is missing, but we're working on recovering it). If you're looking for a little deeper listening, there are hundreds of archived Segue recordings on our pages for the series' three homes: the Ear Inn, Double Happiness and the Bowery Poetry Club. 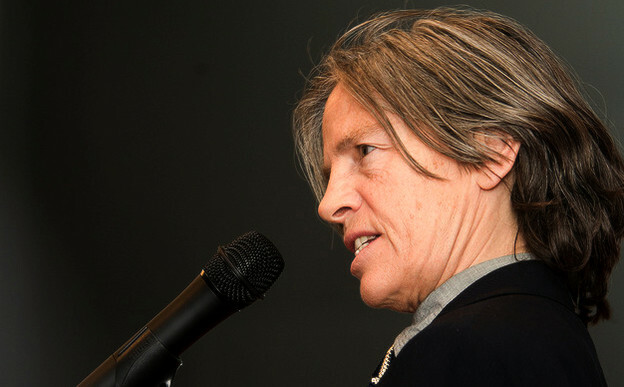 PoemTalk 45: Eileen Myles' "Snakes"
Eileen Myles wrote "Snakes" just as she was assigning children in a friend's Provincetown poetry workshop to write a poem with the following not-so-constraining-seeming constraint: "Be any age and go down the drain with it." Her poem, then, is something of a pedagogical model, an exercise in teaching by participation. Or perhaps the assignment she gave the students simply felt so alluring to her — befit her own aesthetic so well — that she couldn't help but try it herself, regardless of her role as young writers' guide. This was in 1997 or so. By January 1998 she was reading the poem at the Ear Inn in New York. It was published in The Massachusetts Review also in 1998. Sarah Dowling, Michelle Taransky, and Charles Alexander (Charles was visiting from the Southwest, and delighted us with a poetry reading the same day) joined Al Filreis in Al's studio office at the Kelly Writers House to discuss this poem. 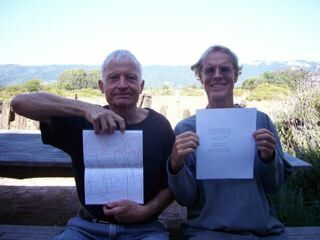 Charles had spoken with Eileen Myles before the recording and was able to confirm our hunch about the poem's derivation from the workshop exercise. Then Charles wonders aloud: once we establish that specific motive or origin for the poem, we must ask what does putting something — let alone a poem — down the drain mean, and how does it manifest itself in the writing itself? Charles begins that part of our discussion by suggesting that it might be something akin to going down the rabbit hole. Memory moving crossways and around — quick-cut fast and time-disordering slow at once. Some kind of domestic memories (not surprising given the poem's emergence out of the subject position of a six-year-old). Michelle Taransky hears and identifies domestic details, such that the going-down-the-drainness of the poem seems to connect us with a vortexical memory of the domestic situation in the child. Charles senses that the six-year-old seems mostly unaware of the loss. Michelle notes the percussiveness of phrases varying from "I was six," and suggests that the poem is about a collision of perspectives: being the non-six-year-old (an adult teacher-poet "doing" six) and, in the present of the poem's drained fiction, being persistently just six. Al asks how much temptation there is to read the poem allegorically. Sarah responds by thinking through the importance of the snake. "I lost my snake," she quotes. For her, the lost figure casts its curling shadow over the rest of the poem. Does the snake belong to the "I" (as a pet, it seems), the poem's speaker at the beginning? Okay, but then the snake seems also to be the "reptile child" we see toward the end. Sarah comes to believe that "Snakes" is about a domestic moment of loss. The loss of self, the loss of a daughter from a mother (the "I" with the husband? ), the loss of the reptile-child self. The group sees evidence in the poem that being six years old can convey a disempowering sensation in extremis. The repetition of "I am six" is at times "silly" (also at times "comic booky") but creates a sense of entrapped stupidity — a way of feeling in advance what it's going to be like to be unsuccessful at being an adult. Al several times proffers an historical reading of the situation as specifically a Cold War-era domesticity; this is not so much taken up by the others as accepted as contributing to the overall heightened sense of feared big loss, tramping feet with music blaring at the end of the war, comic-book-sized quasi-allegory about runaway reptiles, domestication gone awry, etc. The venerable Buffalo Poetics Program turns twenty this year, and to celebrate, we're very happy to announce that our Buffalo homepage, which we've been adding recordings to over the past few years, is finally complete. Charles Bernstein, who founded the program along with Susan Howe, Robert Creeley, Raymond Federman, Dennis Tedlock and archivist Robert Bertholf, has a new post up on Jacket2 that marks both the program's anniversary and the completion of our Buffalo page, home to dozens of recordings he made during his thirteen years there, including the full run of the Wednesdays @4 Plus reading series, which he curated. While poetics suggests a long history of laws of composition, poetics stresses poiesis — the actual making or doing: poetry as process. Every doing carries the potential of something new, emergent, something not already predicated by poetics. Practice overtakes theory, practice changes theory. And not just writing practice, but performance practice, the practice of sound. To write is to produce meaning and not reproduce a pre-existing meaning. To write is to progress and not remain subjected (by habits or reflexes) to the meaning that supposedly precedes language. To write is always first to rewrite, and to rewrite does not mean to revert to a previous form of writing, no more than an anteriority of speech, or of presence, or of meaning. The book creates meaning, and meaning creates life (and not vice versa). Fiction or poetry is never about something, it is something. Writing is not the living repetition of life. The author is that which gives the disquieting language of fiction or poetry its unities and disunities, its knot of coherence and chaos, its insertion into the real. All reading is done haphazardly. Now some people might say the situation (of poetry and fiction) is not very encouraging but one must reply that it is not meant to encourage those who say that! To read more, click here, and to browse PennSound's Buffalo archives, click the title above. 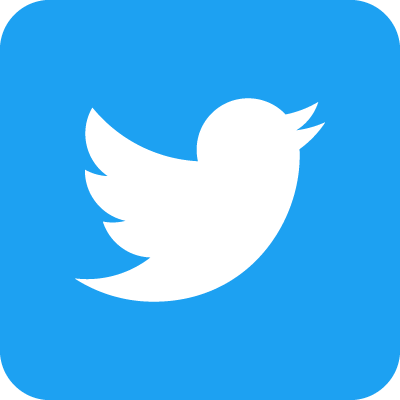 Stephen Ratcliffe and Robert Grenier: "On Natural Language"
We've just posted "On Natural Language", a four-part conversation between Stephen Ratcliffe and Robert Grenier, which took place between January and April of this year. These four discourses "inquire into a number of Grenier color drawing poems in light of the possibility that there might be something like 'a natural language,'" and, the authors tell us, "were inspired by a reading of Carla Billitteri's Language and the Renewal of Society in Walt Whitman, Laura (Riding) Jackson, and Charles Olson: The American Cratylus (New York: Palgrave MacMillan, 2009) and informed by consideration of the Platonic dialogue Cratylus (one of Billitteri's principal sources/where she begins)." "In order that persons concerned to hear these conversations may see for themselves something of what Grenier and Ratcliffe are talking about," they continue, "we provide images of each of the drawing poems under consideration (in order of their occurrence in discussion), followed by 'rough translations' (only) of same (as an aid to beginning perception & interpretation of particular color drawing poems themselves)." Our "On Natural Language" homepage (located here), includes links to each of the four separate pages for each conversation, along with the aforementioned drawings, and readers interested in further exploring Ratcliffe's work can look forward to a comprehensive feature on the poet, which will launch on Jacket2 in the near future. My general logic in my selections was to choose pieces in which performance exceptionally contributed or emphasized characteristics in already admirable works, creating works autonomous from their realizations on the page: the recordings may share the same titles and words as the page realizations, but they are meaningfully distinct. Charles Bernstein's performance emphasizes his piece's formal innovation of discrete, rapid, short units and illuminates linguistic particles as printed, such as "fl...m...n...g...," "s...n...r...ty," and "h...l...r...ty" by realizing them as "flamingo," "seniority," and "hilarity." Amiri Baraka, Barrett Watten, and Steve McCaffery's performances add improvisation, as in Baraka's riot-inciting proto-hip hop flow, Watten's chanting riff on "Their goal... is... no... less than socialism! with a human face," and McCaffery's inimitable sound poetry virtuosity, and Watten's prosaic performance reminds me of the saturated inextricability of his theoretical and surrealist tendencies. Michael Palmer and Jackson Mac Low's performances are chillingly emphatic in their austere deliveries. Bruce Andrews and Rod Smith's performances emphasize the assaults of their pieces: the Andrews piece is a particularly favorite find as I've never found it in print, and a remarkable piece outside of his major works. Ron Silliman and K. Silem Mohammad's performances emphasize the unique temporalities of complex rhyming poems, as Giorgio Agamben writes in The Time That Remains regarding the sestina, "The poem is... a temporal machine... it has a specific and unmistakable temporality, it has its own time," and Silliman's performance emphasizes the remarkable transmissibility of The New Sentence technique. Rachel Blau DuPlessis's performance creates a fascinating combination of imperative statements in a graceful delivery. Finally, Henry Hills' film of micro jump cuts shows a stylistic affinity across mediums, particularly with the pieces by Bernstein and Andrews, who both star in the film along with Silliman, and also enacts the context of downtown New York arts that Hills, Bernstein, and Andrews were part of. I chose individual pieces rather than whole readings to encourage listening to all the selections in a sitting to allow them to be in collective conversation. I will be remarking upon whole readings and the art of the reading as a unit of composition in my weekly Jacket2 Guest Commentary column starting in the beginning of October. Here's the latest treasure from the archives of Aldon Nielsen: a November 1990 memorial reading for Robert Duncan, held at San José State University. This eighty-five minute recording originally appeared on "Incognito Lounge" — the biweekly radio program Nielsen produced and hosted on San José's KSJS-FM between 1989 and 1995 — and now we're very happy to add it to Nielsen's Heatstrings archive here at PennSound. The event features a half-dozen poets — Jim Powell, Aaron Shurin, Leslie Scalapino, David Bromige, Aldon Nielsen and Robert Glück — reading favorite poems from Duncan, along with their own poems that show an affinity with Duncan's aesthetic. You can listen to tracks of the individual sets (which run approximately 10-15 minutes each) or download the complete reading on our "Incognito Lounge" series page, and in addition to checking out the wide variety of amazing recordings you'll find there, don't forget our Robert Duncan author page, an encyclopedic archive of readings and lectures from the early 1950s into the mid-80s. This grey morning seems greyer still with the sad news of Frank Parker's passing. Unlike many of the people I've had the unfortunate duty of memorializing in this space, Frank was someone I actually knew — though we never met, we corresponded regularly over the last few years, and I was struck by his warmth, his humor, his energy and above all, his great passion for poetry in all forms. 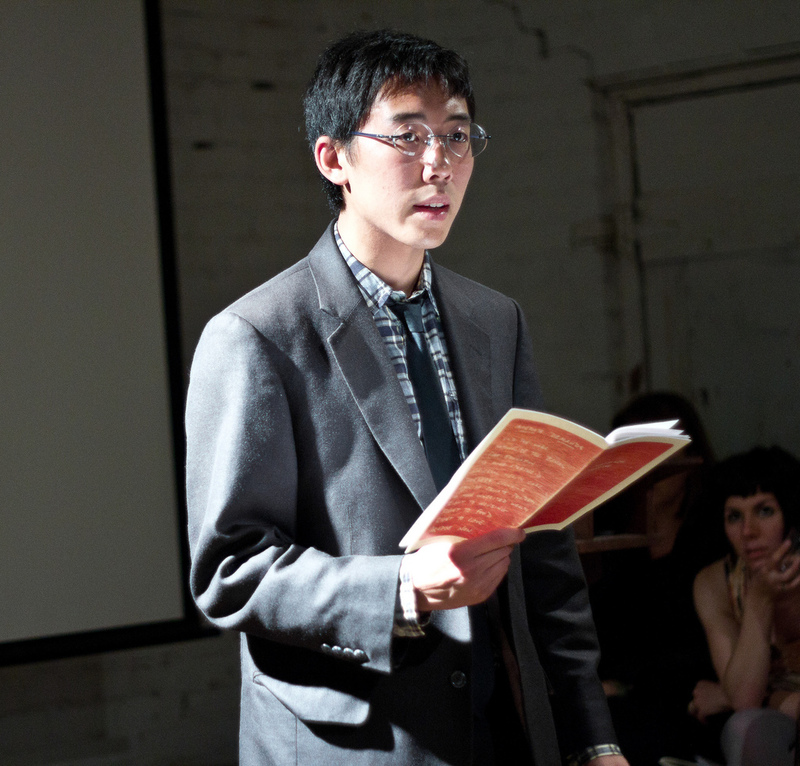 Frank was a fixture in the Tucson, AZ poetry scene, serving on POG's board of directors and fervently recording readings there and elsewhere, all of which you can listen to on our POG Sound series page. He was also a talented poet — crafting earthy and intimate observational sequences — and a skilled bookmaker, who aptly combined these skills to produce a number of gorgeous chapbooks. The materiality of these lovely handmade objects was countered, on the opposite end of the spectrum, by his online project, frankshome.org: an Active Anthology of Verse, which he ran for nearly a decade; Frank's great love of poetry could accommodate these juxtapositions with ease. 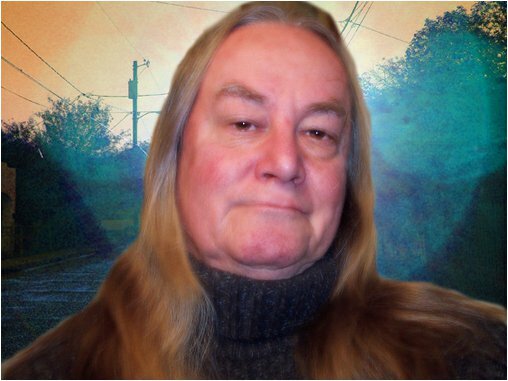 In Frank's honor, I've put together a PennSound author page for him, which is home to two readings from the Tucson area (the first from 2007, the second 2009). Additionally, Frank's family has set up a Facebook page for him, where friends can leave messages. 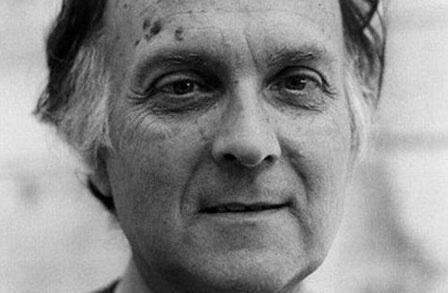 Frank will certainly be missed, but he's made an indelible mark on contemporary poetry: both in his little corner of the desert and worldwide. 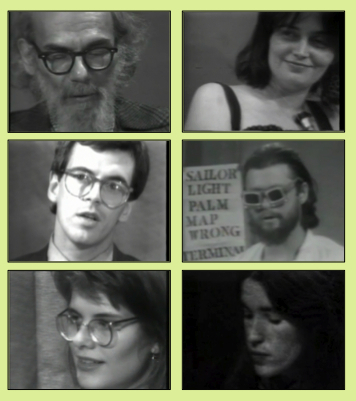 Even if you were watching the innovation called cable TV in 1977 and 1978, what are the chances that you saw a show titled Public Access Poetry? Produced by Poetry Project stalwarts Greg Masters, Gary Lenhart, David Herz, Didi Susan Dubelyew, Daniel Krakauer, Bob Rosenthal and Rochelle Kraut, PAP programs featured half-hour readings by a wide range of poets and performers who could roughly be categorized as "downtown," more often than not linked in one way or another with the Poetry Project. The cable TV series lasted two seasons (one live, the other recorded for later airing) and was produced with little-to-no broadcasting experience by the PAP personnel. Forty-six fragile open-reel videotapes of these shows were preserved and, in 2009, were donated to the Poetry Project by the PAP team. A grant and subsequent anonymous support supported the preservation and digitization of 31 of the original tapes. The Poetry Project, dedicated to making the Public Access Poetry archive available to the public, as envisioned by its producers more than 30 years ago, is happy to be collaborating with PennSound to accomplish this. Fifteen tapes remain to be transferred to complete this digital archive. Reminiscent of (and actually pre-dating) Glenn O'Brien's iconic TV Party — for its stark greyscale video grain and charmingly idiosyncratic cinematography (wandering cameras, rampant use of pans, fades and overlays) — Public Access Poetry is a marvelous document of New York City's thriving poetry scene in the late 1970s, as well as a innovative exploitation of available technology to reach new audiences. PennSound authors who appear in the series include Jim Brodey, Paul Violi, Eileen Myles, Alice Notley, John Godfrey, John Yau, Ted Berrigan, Tim Dlugos, Bob Holman, Ted Greenwald, James Sherry, Tony Towle, Simon Pettet, Jackson Mac Low, Ron Padgett, Joanne Kyger and Lewis Warsh, and while it's wonderful to see these poets read, the opportunity to see sets by the likes of Susie Timmons, Harris Schiff, Maureen Owen, Peter Orlovsky, Joel Oppenheimer, Steve Carey, Rene Ricard, Tom Carey, Bob Rosenthal and Rose Lesniak is a truly rare delight. To start exploring the Public Access Poetry archives, click on the title above, and stay tuned for another Poetry Project-related addition to the site.